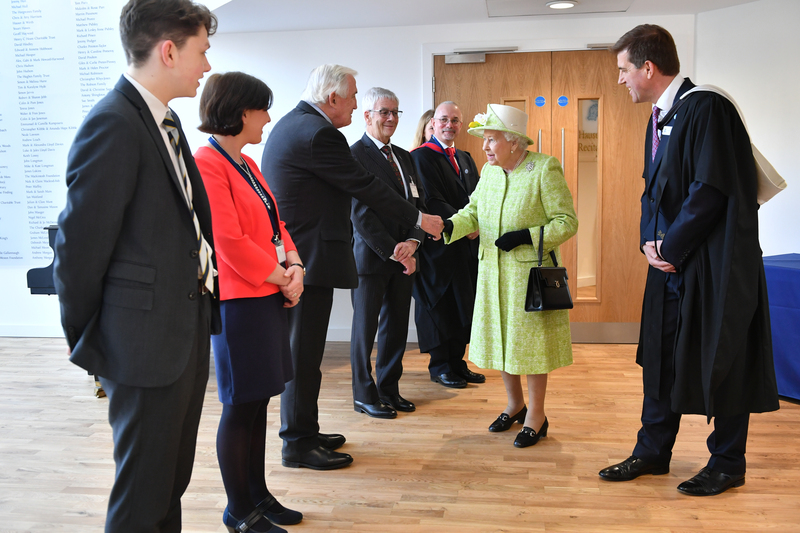 Yesterday the Queen paid a visit to Somerset, for a busy day of engagements. But on her first official trip of the day, the monarch was actually reunited with a very familiar face. She headed to King’s Bruton Boarding School, to open their new music department, which had been named in her honour for the school’s 500th anniversary. And on her arrival, she was greeted by a former pupil of the school – and someone who happens to be the father of her daughter-in-law. Hello! 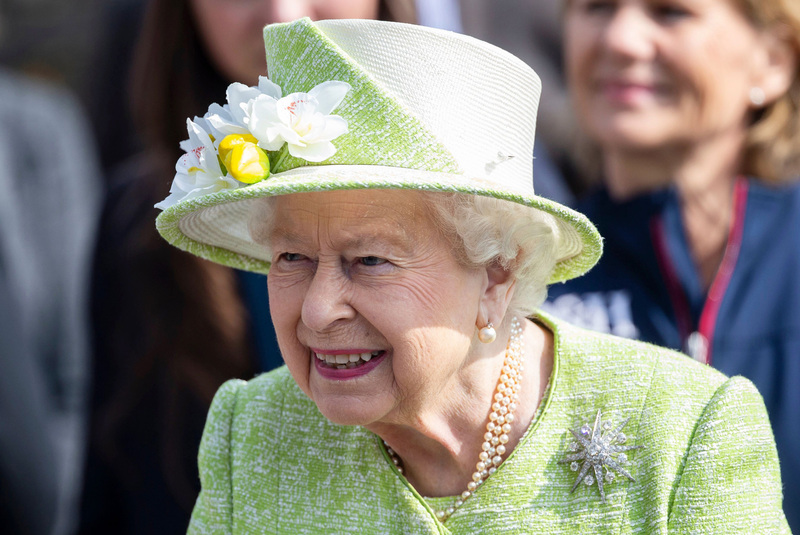 reports that The Queen was reunited with Sophie, Countess of Wessex’s father, Christopher Bournes Rhys-Jones; he was there in his capacity as a former pupil at the school! 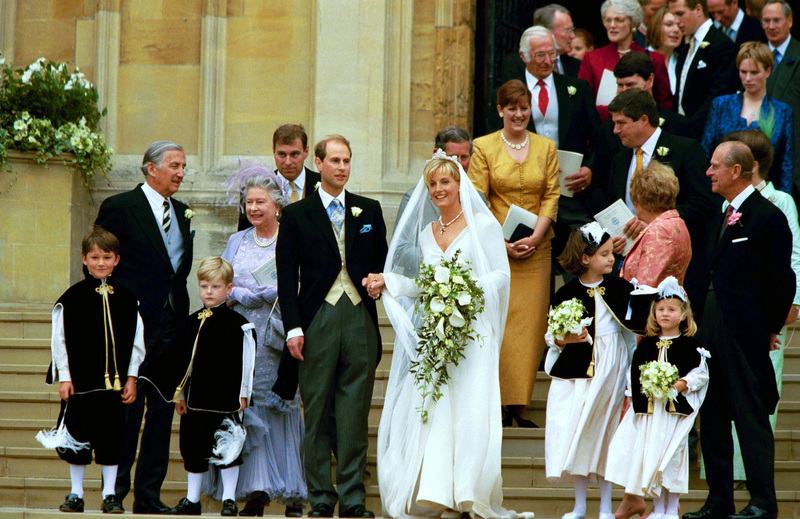 It’s not known if Christopher and the Queen are in much contact these days, although of course the pair were seen chatting at their children Sophie and Prince Edward’s wedding back in 1999. During the rest of her visit to Someset, Queen Elizabeth II also met with 18-year-old piano student Sam Innes, as she toured the new music department. He revealed to Royal Central that the Queen was keen to hear his music, but admitted that playing in front of her was ‘scary. Sam said, “My piano teacher said to give it [the piano] a cheeky play, and the Queen said, ‘oh do.’ I played some Chopin. It was really scary! 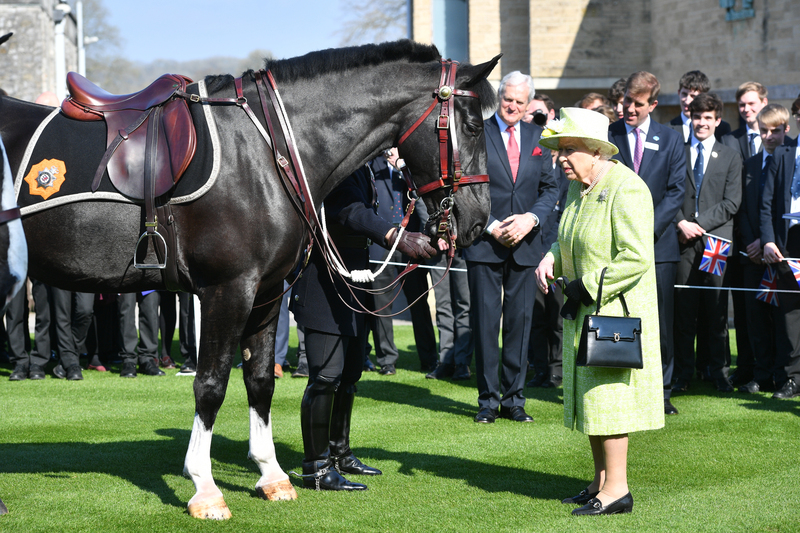 The Queen also spent what was likely an enjoyable afternoon meeting with some horses at Manor Farm Stables, before heading off to officially name the new Avon and Somerset Police horse, Windsor.